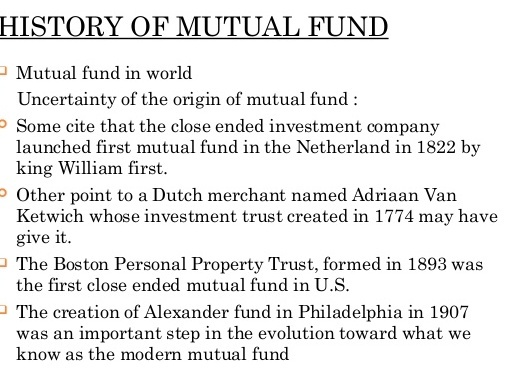 World and Indian Mutual Funds Originate.. ? The concept of pooling money for investment purposes started in the mid 1800s in Europe. The first pooled fund in the U.S. was created in 1893 for the faculty and staff of Harvard University. On March 21st 1924 three securities executives from Boston pooled their money to create the first mutual fund in the world known as the Massachusets Investors Trust. Unit Trust of India (UTI) was the first mutual fund to be set up in India in the year 1963. 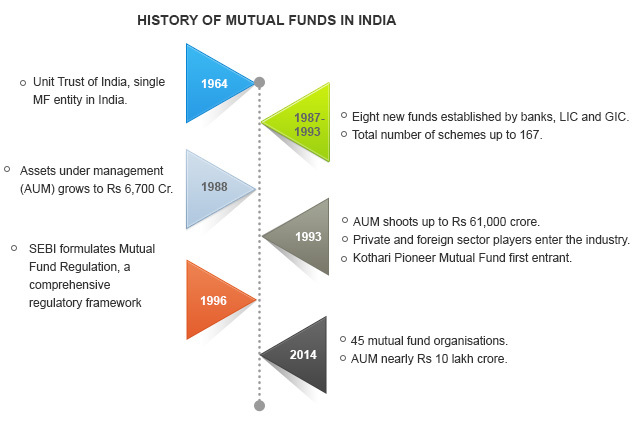 In early 1990s, Indian government allowed public sector banks and institutions to set up mutual funds. It was at this time that LIC Mutual Fund came into existence.